Developed for the professional and research space, the whole Evotek Active Seatbelts, for the transmission and perception of G forces, contribute in a complementary and relevant way to improve the realism of curves and braking. With four rotational actuators, that control in real time the tension of the seatbelts during the driving, the system can transmit till 5G during the limit braking. Every actuator is singularly controlled on the basis of the effect of combination of G forces. The tension felt by our body is mentally interpreted and associated to different driving conditions, without the solicitation our body doesn’t feel any residual tension. 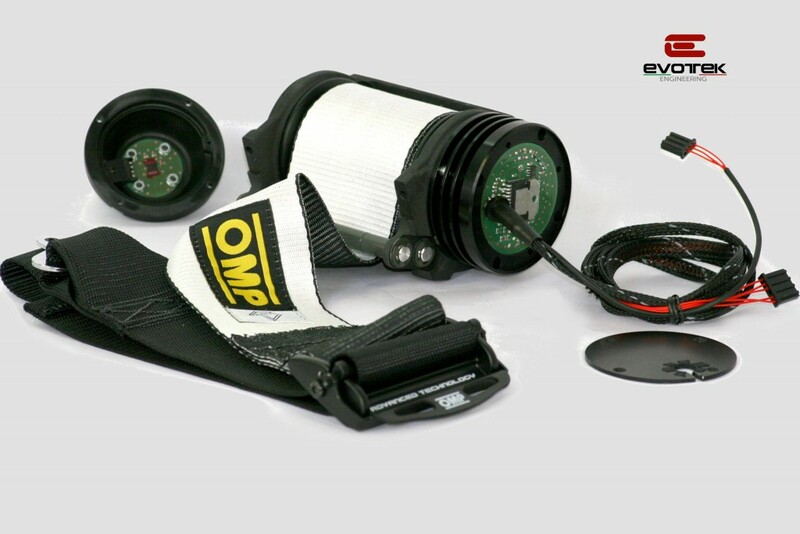 The system has been developed and it shows the best performance combined with OMP seatbelts, expressly realized for Formula One. These seatbelts offer an excellent wearability and an extraordinary fluidity over fabrics, completely deleting the friction on the tracksuits or on clothes, for a fluid behavior of system’s devices. 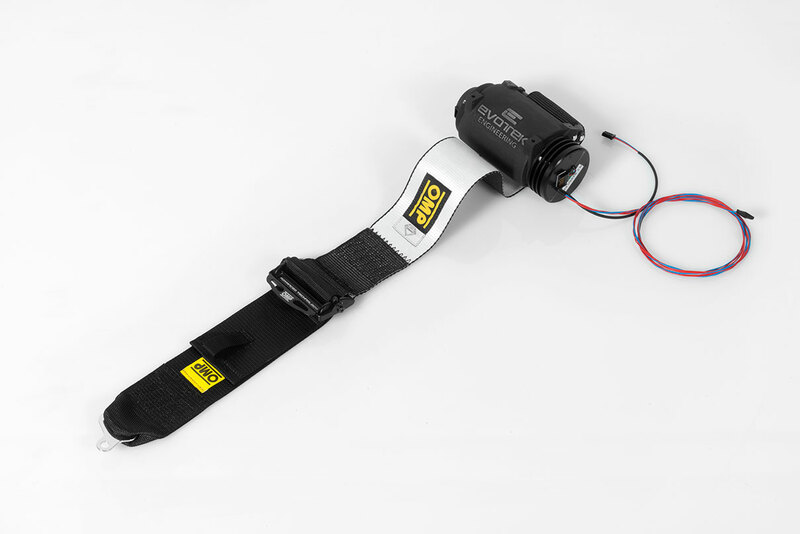 As every devices of Evotek Simulators, even active seatbelts have been entirely designed and realized by Evotek . Every features and mechanics manufacturing have high precisions standards, the inner rotor, over it is rolled up the belt is on bearings, to guarantee the maximum fidelity and precision. The whole group is realized with a lightweight alloy (aluminum), while the extern body is a fusion of sand with high performances. The control electronics and the position sensor are integrated into the device on the sides of the motor reducer. The device implies the symmetric combination of the assembling process and at the same time it allows the same component to be assembled in every position, that is right, left, superior and inferior. As the majority of Evotek components even those elements are designed for a professional or research environment and that’s why are available two different configurations: Standard or with Maxon motors. The Std version is the one generally used in professionals driving, while Maxon version is suggested for scientific research simulators.